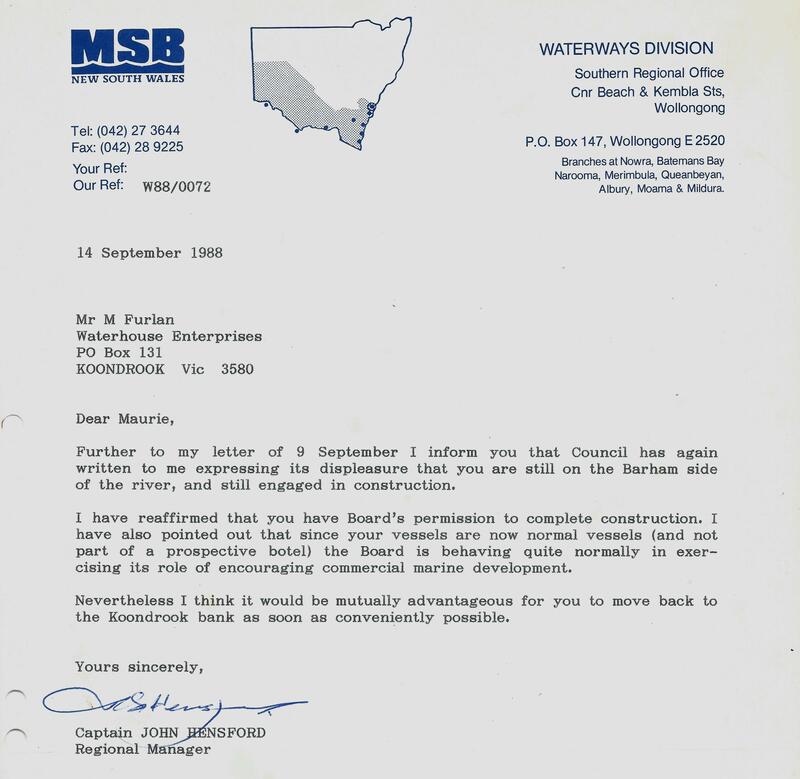 In early 1986 during your research into riverboats you discover that the NSW Public Works Department had long promised to fund a houseboat waste pump out station to cater for a growing number of vessels at Barham. According to the article there were already 4 houseboats in the area. 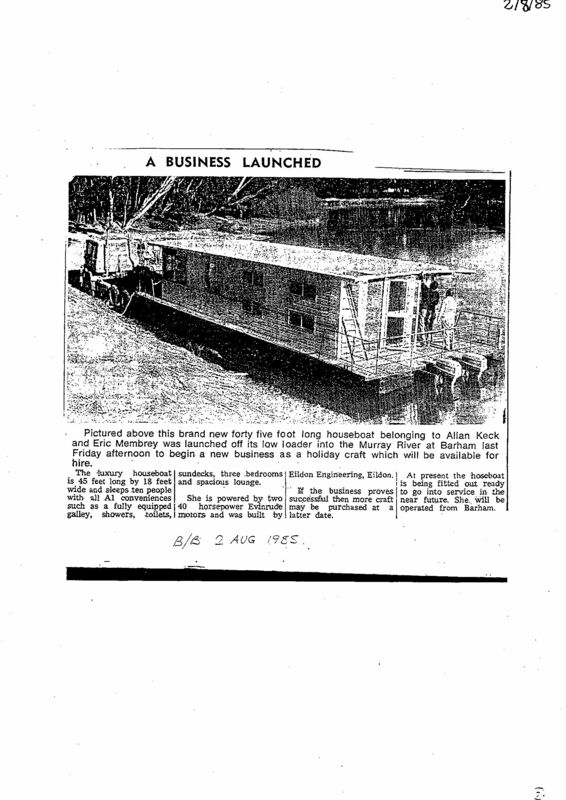 Shady Lady hire houseboat business commenced operations at Barham in 1985. According to the news article owner, Jack Keck had big plans. 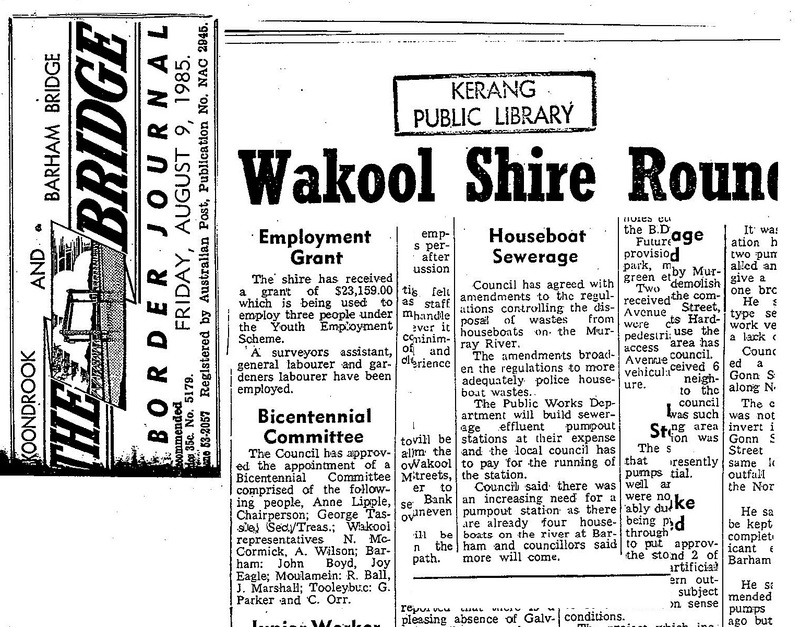 Jack happened to be treasurer of the Barham Progress Association and shire councillor at various times. His vessel would moor anywhere between the bridge and the caravan park. The entire area was public reserve. Nevertheless, his patrons would park their cars behind the School of Arts Hall with the blessings of the council. 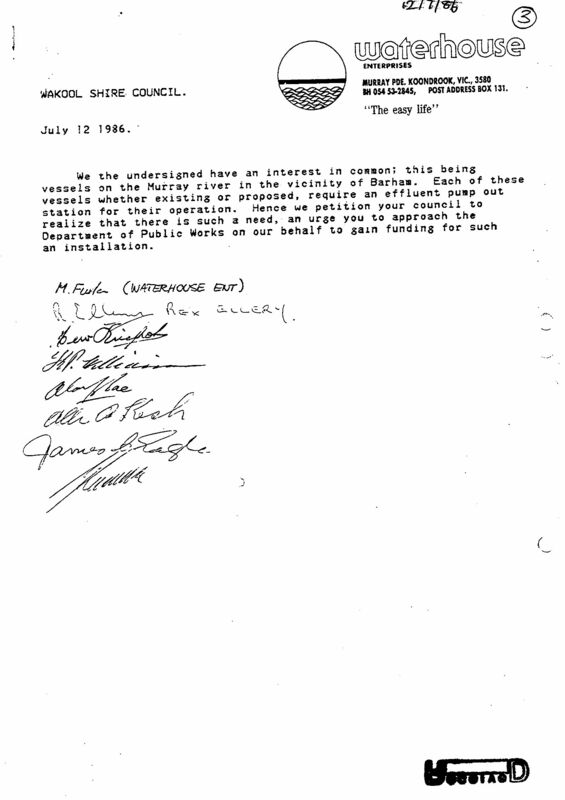 Waterhouse kept up pressure on council to accept the funds for the pump out station but they refused. 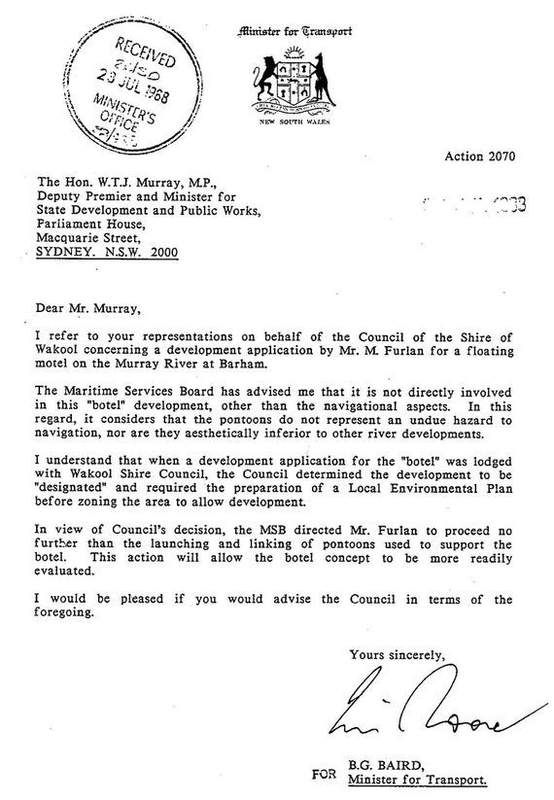 Waterhouse collected a petition for the pump on behalf of all the interested boat owners. Shady Lady was short lived and the vessel can be seen preparing to leave the Barham area in this picture. The photo was taken during the controversial construction of the large houseboat in mid 1988.